Enjoy the pool with water slide and whirlpool. Deck chairs are available for relaxing moments by the pool. 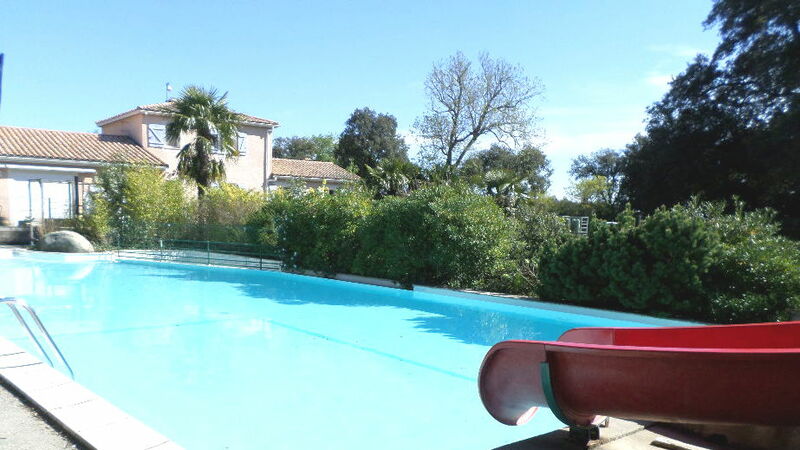 Camping Le Martinet Rouge, for great holidays in Carcassonne south France. Enjoy indoor activities for relaxing moments alone or with family. To enjoy your evenings, the group “Pop Choupa” joins us once a week for an aperitif and booking a meal Barbecue music promises a friendly and fun atmosphere for all ages. 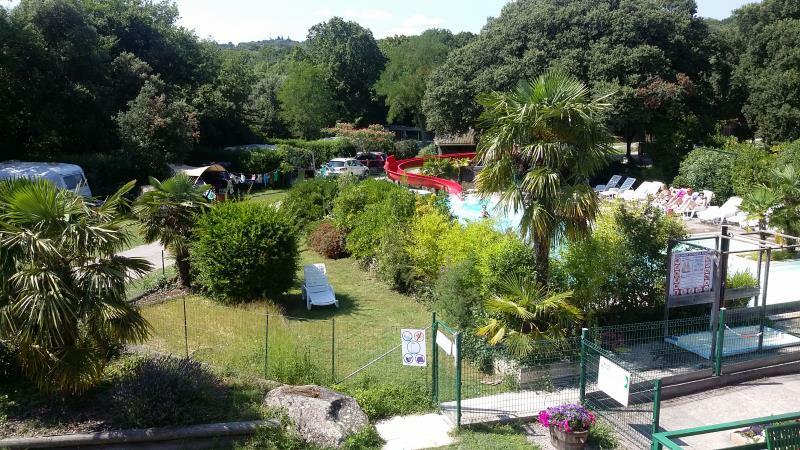 For your comfort, the campsite also offers bed linen and baby equipment rental, two washing machines linen (sales fees) and a cleaning service at your departure (on booking).